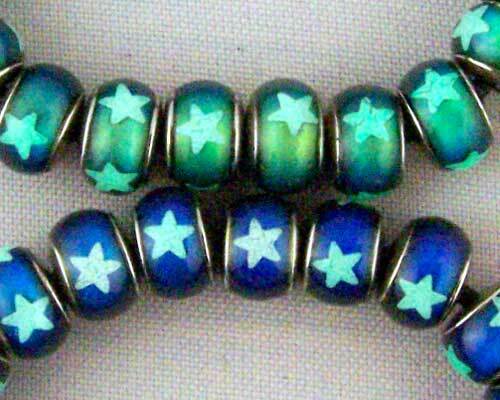 Mirage bead 7x8mm with a "glow in the dark" star. 7x8mm mirage bead with a glow in the dark star. Also called mood beads.